US Speedo - About Us - US Made, US Proud, US Speedometer! US Speedo is proud to be US Made! 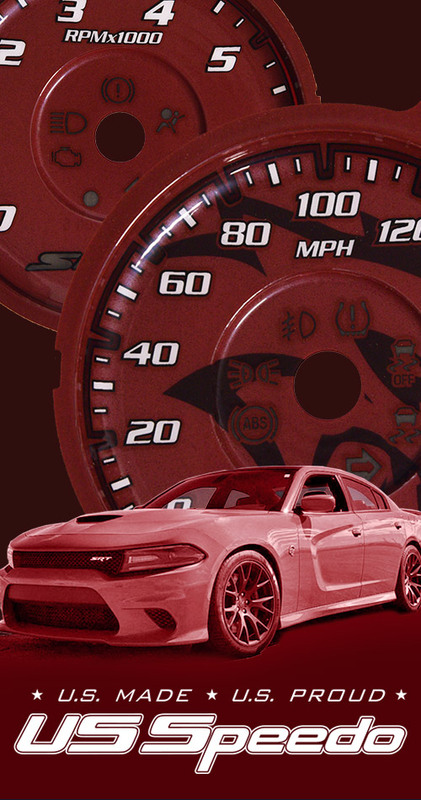 For over 20 years we’ve pioneered the custom speedometer and speedometer repair industry! We have an experienced, knowledgeable and friendly staff, ready to help you with all your speedometer needs! Please contact us at (810) 244-0909 or via email at sales@usspeedo.com. US Speedo is the industry leading manufacturer of OEM quality gauge restyling products and Everything Speedometer™. For nearly 20 years we’ve prided ourselves on delivering show quality custom products to both, our clients, and the general public. US Speedo truly is Instrumentation Innovation™. Constantly evolving our designs to meet our customer’s needs. As opposed to exterior styling products or small interior touches, US Speedo Custom Gauge Faces transform your dash. Other than the road, your speedometer is what you look at most in your vehicle. A US Speedo Custom Gauge Face finishes off your custom interior right! U.S. Made means something to us here at US Speedo! Our company’s name is short for United States Speedometer. We are located in “Vehicle City” Flint, MI. Quality vehicle design and production is in our blood. We are nearly 100 employees strong, made up of mostly Flint natives who grew up right here in the birthplace of General Motors. US Speedo uses the same, time-proven production processes, materials and quality standards as the original gauge face manufacturer. While some companies use a digital printing technique, known for producing gauge faces that have lighting issues or can warp, crack, or delaminate under the extreme temperature shifts in your vehicle, our processes and quality materials allow us to offer a quality guarantee and a 5 year warranty on all parts. Digital printers cannot offer such a warranty. We design all products in Flint and produce nearly all our products on-site. We are U.S. Made and U.S. Proud! Top-notch design is important to us as well. We began by producing OEM conversion faces to support KMH to MPH conversion of imported vehicles. Precise design is required to properly produce a conversion gauge face that can operate as a true replacement. Our creative natures led us to offer an initial run of custom gauge faces and requests poured in, nation-wide for our unique restyled color gauges. It was then that we expanded our custom gauge face inventory to include many of the most popular vehicles! Soon after, we invented and patented the stainless steel gauge face which has evolved into even more dramatic designs such as the Aqua Edition, Aqua Mariner and Stealth Edition gauge face kits. Since 1999, US Speedo has provided our clients the pinnacle of quality custom for their speedometer. US Speedo continues to develop customization options for your interior. We’re always adding new products and new designs to our catalog of gauge face kits. Weather your gauges are in need of repair, you have a lightbulb out in your dash, or you’re just looking to finish off that custom interior with a gauge face kit or custom lighting scheme, look no further than US Speedo.